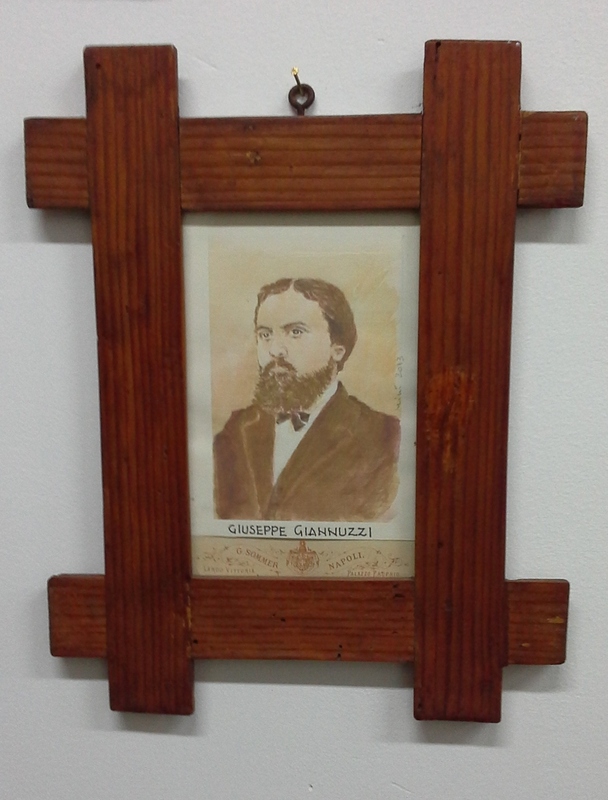 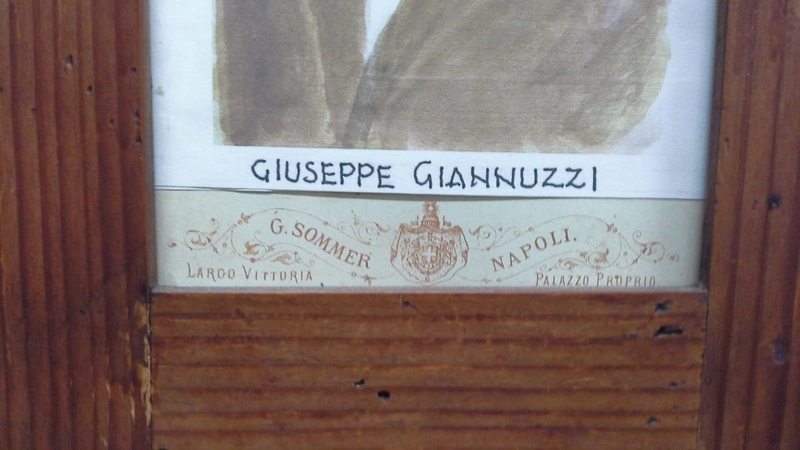 This photographic portrait of Giuseppe Oronzo Giannuzzi can be seen in the library "Archivio Biblioteca Museo Civico" (A.B.M.C), situated in the Grammar school "Luca De Samuele Cagnazzi" in Altamura. 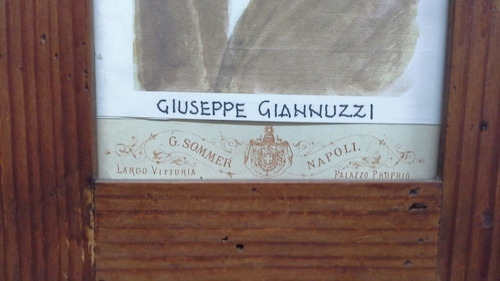 It was made by Giorgio Sommer in Naples. 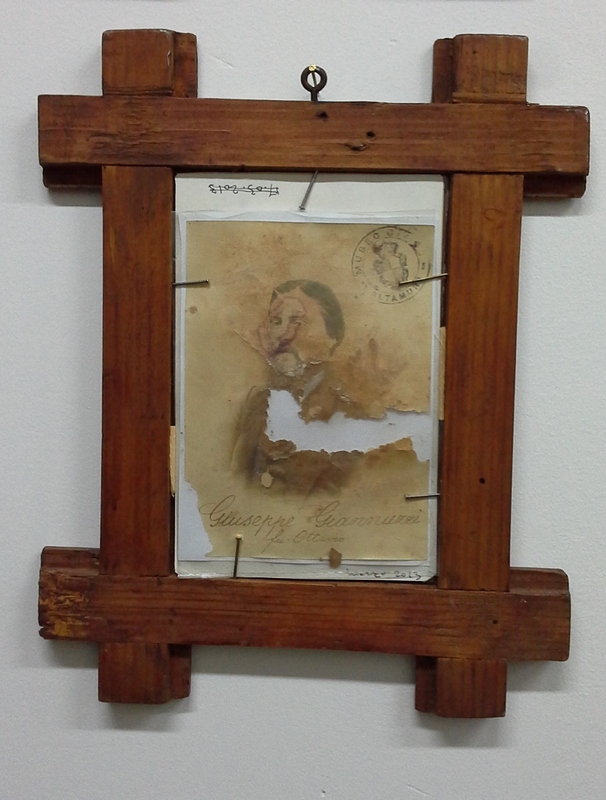 There is a recent reconstructed picture on the back of this photo.